We meet Lady Caroline Rider when she is off her face on opium in some dodgy place, where she is found by a notorious rake, Sebastian Conway, Marquis of Ardhallow who had sworn to himself he would never have anything more to do with that blasted woman. So obviously things are off to a great start. To be honest, I wouldn’t mind if their self-destructing tendencies, angst and misgivings lasted longer but that just tells you less about the book and more about some issues of mine which should probably be addressed during some extended therapy. I really don’t know why I wish the worst upon the characters. I promise I would never engage in this sort of toxic relationship in real life. 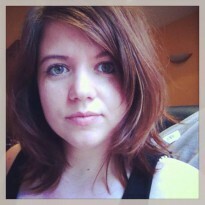 I’m terribly sensible and unromantic in real life (again – issues, therapy). But let’s leave my bizarre sadistic tendencies and focus on the book. It basically tells you what happens when you listen to your father and follow his advice. Yes, you guessed it: domestic violence, drugs and scandal. Caroline is another of the Armstrong sisters who are trying to send their father to an early grave by running off with foreigners (you can read about their adventures in the previous books). All things considered, Caroline should be her father’s favourite daughter. First she marries whom her father chooses and then, when that doesn’t quite work out, she at least has the decency to fall for a titled English gentleman. Her father should be thankful, but seriously, there is no pleasing that man. I’m not quite sure if there is any Armstrong sister still left unwed but if there is, she should just stop trying to earn her father’s approval. And, as it turns out, her stupidest idea will work out better than whatever her father, renowned diplomat, has planned for her. 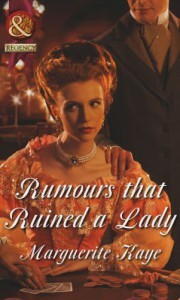 I must congratulate Marguerite Kaye on the pacing of ‘Rumours that Ruined a Lady’. It proved unputdownable and it’s probably my favourite book of hers so far. I was so engrossed in it that I was still reading it when we were hiking in Howth until my mother scolded me for reading rather than enjoying the views. But I kept on reading, because if there was one thing I learnt from this book is that you should never do what your parents tell you to do.